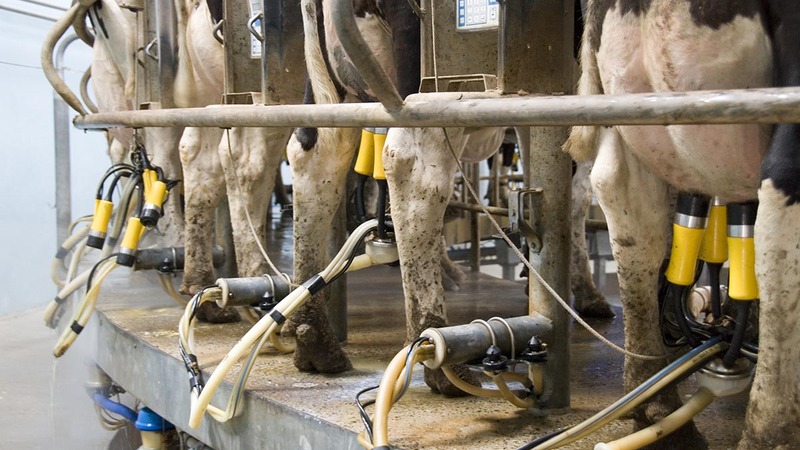 With the milk price becoming increasingly like a rollercoaster ride, is it up or down next? On the surface it looks like the dairy industry has come up for breath after a long and prolonged crisis, as milk prices look much more encouraging for farmers across the country. Unfortunately, dig deeper and things may be not quite what they seem. According to dairy analyst Ian Potter, speaking at the recent South Wales Dairy Conference, some milk buyers may be ‘ballsy enough to bring the price back on April 1’, although it is likely to stay where it is for March. At the same conference, Mr Potter stated in the past three years milk production has increased by 14 per cent. And while the milk keeps flowing, Emma Thompson, Promar regional manager in the Midlands, says individual farmers need to look closely at their own circumstances when planning whether to increase production themselves. In the week to February 4, UK weekly production was 3.8 per cent below last year, and Mrs Thompson says the gap has been declining steadily from the peak of a 9 per cent deficit in July and 8 per cent in October. Mrs Thompson suggests many farms had poorer quality grass silage this winter with many cows kept out longer at grass in the autumn, both of which will have affected overall production and put pressure on milk from forage. At the same time she says concentrate feed rates have risen, despite higher feed costs. “The effect of the Brexit vote on exchange rates has had a significant impact on feed prices and this situation is unlikely to change in the foreseeable future. So while the milk price has improved, the milk price to feed price ratio has not recovered to the same extent. She recommends producers understand where their milk is going and whether their processor wants increased supply. While many processors are chasing additional litres, others will not want to handle, or may be unable to deal with, increased supplies, leading to possible milk price implications. This was also echoed by Ian Potter, who urges farmers to speak to their buyer before upping output. If your processor does not want more milk, why produce more, especially if the economics of cost of production means the additional litres are not sufficiently profitable, asks Mrs Thompson. Mrs Thompson says most dairy farmers have made huge strides in reducing costs of production and increasing production from forage. She suggests these principles should be used to underpin any increased output. “If extra yield comes on the back of increased concentrate usage and the consequential rise in costs per litre, then the wisdom of doing so should be challenged hard. As a simple rule of thumb, you need a minimum milk price to feed price ration of 1.2:1 if milk from purchased feeds is going to be profitable, and a target should be a minimum of 40 per cent of all production from forage. With cow prices increasing again and with a shortage of heifers in the pipeline, she suggests increasing output by running more cows may not be an option for some. “Rising milk prices are certainly welcome and present an opportunity to rebuild herd margins and farm profits. What matters now is how individual businesses exploit the better prices to improve the business’ cash position to allow them to be in a better position in the event of a future economic downturn. “There is no requirement to produce more. It is optional. Find out if your processor wants more milk and then decide if you want to try and increase production. If you do, then look closely at how this can be done cost-effectively.